Have you ever thought of drinking tea as a way of slowing down or decreasing stress? This week is all about self care. Monday was Chicken Soup for the Soul day, today is National Kindness Day, Saturday is Take a Hike Day and it is officially self care week. Any excuse to run a bath and light some candles, right? 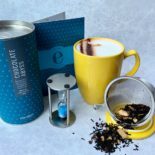 We are always encouraging people to have a #eteaketmoment and we wanted to explain what one is to you. 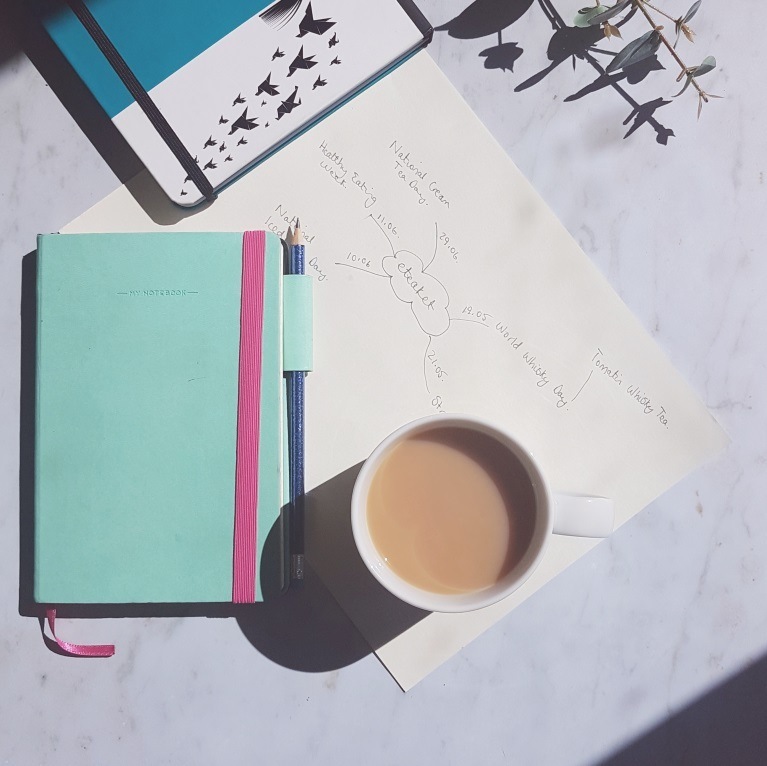 We like to think an #eteaketmoment is a quiet moment to connect to yourself, your friends or family and of course your tea! 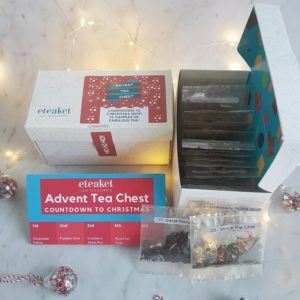 Below we have jotted down some different ways to have your own #eteaketmoment and create your own self care ritual. Sometimes I take a moment to sit on the couch, listen to one of my favourite podcasts and sip a cuppa (slowly). If I am on the go, I take my tea with me and listen to a podcast while I walk or while I am cleaning at home. I have to put a podcast on and light my Blooming Marvellous candle (it is the only way you will get me to do housework). When I listen to a podcast I always come away having learnt something new or having listened to something that challenged my own way of thinking, therefor improving it. If you enjoy active self care this is a great way of doing it. • How I Built This with Guy Raz. Let us know if you have any podcast recommendations. Gratitude journals are all the rage at the moment but with good reason. In this crazy world with social media now playing such a huge part in our lives, it can be hard to stop and be thankful for what we have. This type of self care is so powerful because it can have profound effects on other areas of your life. 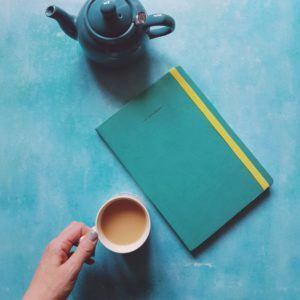 So grab your favourite journal, a good cuppa and 10 minutes to yourself! 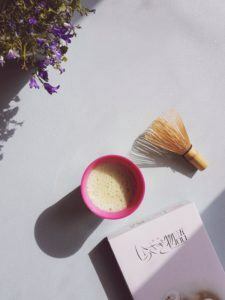 Creating an exercise self care ritual can sound time consuming but the benefits for your physical and mental health could be really positive. Exercise helps to bring down your levels of cortisol and increase your levels of endorphins! If you are an active relaxer than exercise would be a fabulous way to create some time for yourself. Just don’t forget your cold brew, hydration is important! This one sounds simple but how often do you really sit in silence? Without anyone talking, your Netflix playing, your phone screen in-front of you or even a book? Meditation has been proven to have really positive effects on the brain but if you are finding it really hard, why not park up in your favourite chair and sip on your favourite tea? If you haven’t yet mastered meditation we have just the thing. Make your favourite tea, find a nice spot and put away any distractions. Just sit in silence and enjoy every sip on tea. 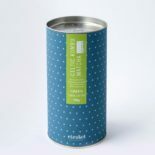 You might even find you taste the full flavour of the tea! Since are are on the topic of self care. 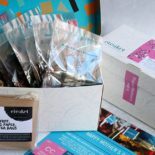 Our next Wellness with eteaket event is coming up in December. 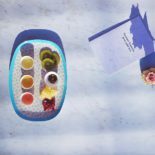 Learn more about Japanese Flower arranging – Ikebana from Deborah Hathorn and taste three eteaket teas. Our December event will have a festive feel and will be the last one for 2018! Tickets are complementary but very limited to get in quick! Psstttt, our Christmas Shop is now live. We have made our first ever Advent Tea Chest. Click here to find out more. This entry was posted in Concept Store eteaket team Events General Health & Lifestyle News, Awards & Press Recipes Tea Tea Education & Innovation Tea Room Tea Travels and tagged advent calendar, black tea, Christmas, Concept Store, cups, edinburgh, events, fruit, green tea, herbal, infuser mugs, journal, loose leaf tea, matcha, oolong tea, podcasts, purple rain, relax, rooibos, Scotland, self care, tea, tea accessories, tea collections, tea room, teapots, United Kingdom, white tea. Bookmark the permalink.